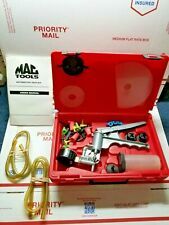 MityVac 4000 Silverline Automotive Vacuum Pump Kit with Manual& Case VG COND! 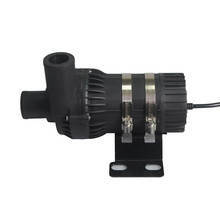 Pump is made of zinc alloy die cast metal for durability. 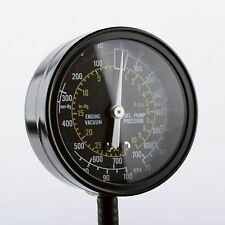 Features easy to read vacuum gauge graduated in inches and centimeters. Turns a two-person job into a one-person job with it's easy to use system. Easy to use without making a mess. Kit contains vacuum pump reservoir jar, transfer lid storage lid, brake bleeding adapter package, test adaptor package, rubber cup adapter, tubing and users manual. 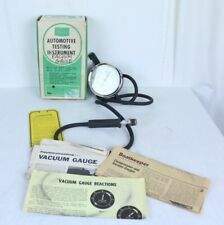 Silverline Elite Hand Vacuum / Pressure Pump Automotive Kit MITMV8500 Brand New! 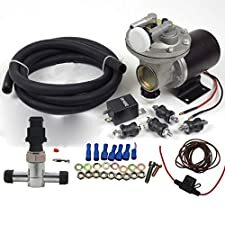 MityVac Automotive Vacuum Pump Kit Lincoln Industrial Corp.